Paranormal Incident follows six college students into an abandoned psychiatric hospital hoping to gather enough evidence to prove the building is haunted. Armed only with video cameras, they each face a greater evil than anticipated. From the beginning of the film, the audience is aware that something dreadful has gone wrong in this pursuit of the paranormal. We are led down into the depths of fear as we discover just how far a person can be pulled into the mouth of madness. 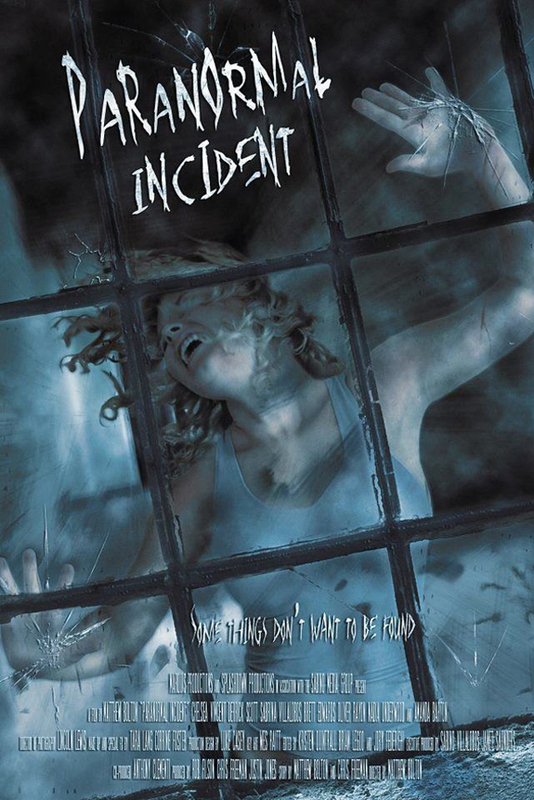 Join us for a behind the scenes look at the creation of Paranormal Incident with the film’s writer/director Matthew Bolton of Splashdown Productions. MV: Welcome to Movie Vine, Matthew. Thank you for taking the time to discuss your film Paranormal Incident with us. Matthew: Thank you very much for having me, I’m happy to do it. MV: You wore many hats on this project including co-writer (with Chris Freeman), director, producer, and film ninja. Could you walk us through what a typical day was for you in the writing process, pre-production, filming, and post-production? Matthew: Sure, the writing process was pretty intense. When we found out the film was getting green lit, we didn’t have a script yet. I had to write the first draft in three days and then Chris came on board when we got a little closer to filming to help with rewrites. A typical day for me in pre-production was waking up to sit at the computer to work on the script, then also simultaneously trying to scout our locations and audition actors. During shooting we did script rewrites almost every day on set, as well. The days on set were a blast. It was a short shoot, so we had some long days, but we became a very close group and had a lot of fun. And then post production was especially fun for me, I had a great time editing, working with visual effects, coming up with the title sequence, etc. It was definitely a special project in that I was heavily involved in every single stage of it. MV: I’m sure you found many creative ways to get around specific filming issues. Are there any particular lessons learned in which you are especially proud of overcoming on a low budget? Matthew: The trickiest part of this shoot with such a low budget was coming up with ways to scare today’s audience. We relied on our cast and their talent and personalities to keep the movie flowing at times but for the scares I fell back on my love for classic horror films. Basically, we used a bunch of old stage and camera tricks to pull off our gags—simple fishing line and playing with light and shadow. We utilized the handheld cameras as well, when you control the POV of the audience you can heighten the tension before the reveal. MV: They say the most important part of real estate is location. I believe the same holds true for film. 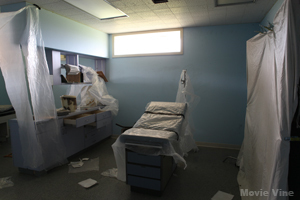 The abandoned hospital in Paranormal Incident is frightening even before adding in the element of suspense. Where did you find this location? Was it at one time an actual psychiatric hospital? Matthew: We actually shot in two real asylums. 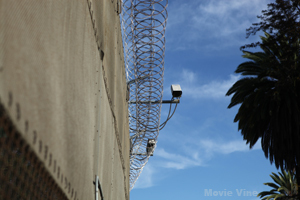 The first was Fred C. Nellis Youth Correctional Facility, which functioned as a children’s correctional facility for over a hundred years until it closed in 2004. That’s where most of the film was shot, and it was genuinely eerie, something that I think definitely reads on film. There was a sense of dread, especially at night there that we didn’t really need to augment at all. 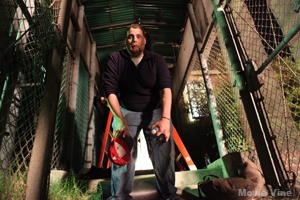 The second location we used was the Norwalk State Hospital, which is still a working facility. This location, like the first, was already very creepy and in between takes the crew made sure all the lights were turned back on. I think one of the coolest side effects of filming in these real places was that the actors didn’t really have to work too hard to manufacture fear—you absolutely could feel the dread just standing in the rooms. MV: Do you know if these locations have their own sinister past much like the one presented in the film? Matthew: We were told stories at both locations that were chilling. Particularly at the youth correctional facility, we heard about horrific failed escape attempts, suicides, and among other violence, a devastating TB outbreak. MV: If you were placed in a similar situation, ghost hunting in an abandoned building, how would you react if you came face to face with a ghost? Matthew: I would probably need a new pair of pants. I am fascinated with the paranormal, and I love scary movies, but I think given a choice I would much rather write about ghosts then come face to face with one of them. MV: As one of the writers of Paranormal Incident was there anything personal you took from your own life to add to a particular scene or character? Matthew: There is a lot of my personality in many of the characters in this film. Any details about the asylums I included came from documented events in other real asylums throughout the country. Maybe the biggest thing that came from me personally is the title of the asylum, the “Odenbrook,” which came from a reoccurring dream I was having at the time. Since we made the film, I haven’t had the dream once. MV: How were you able to get Paranormal Incident released with On Demand? Matthew: One of our partners at Marquis Productions was the point on that sale. I think the other thing that was crucial for that deal was having a really strong teaser trailer and poster. Having strong promotional materials helped get interest, and then obviously having a finished product that distributors could get behind and sell to other territories sealed the deal. MV: What upcoming projects are you currently working on? Matthew: Right now I’m developing a few projects, mostly genre movies. One of which is a possible sequel to Paranormal Incident. MV: Do you have any advice for aspiring writers who will be directing their own projects? MB: The greatest advice I ever received was to write your script for the budget you have. The biggest mistake you can make is not being realistic about the financial boundaries—you can make a great movie for less money, but you have to be really practical as well. MV: You have successfully scared your audience so would you mind sharing with us what some of your biggest fears are? 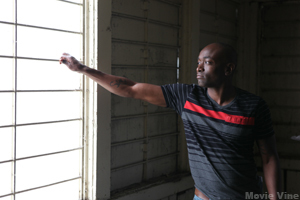 Matthew: My biggest fears are hospitals, heights and things I know are around but can’t see. Mostly the kinds of things I write about. MV: We are looking forward to seeing what you scare us with next. Thanks again for discussing Paranormal Incident with Movie Vine. Matthew: Thank you so much for having me and liking the film! Hopefully I’ll have something else for you all very soon! *For more information on the film or Matthew please check out www.splashdownfilms.com. There are currently 1 Comment on Paranormal Incident – Interview with Matthew Bolton. Perhaps you would like to add one of your own?